2YO Racing Tips : Bill Turner 2019 Brocklesby Conditions Stakes Winner? Bill Turner 2019 Brocklesby Conditions Stakes Winner? Bill Turner is no stranger when it comes to training two-year-old racehorses, especially when it comes to the Brocklesby Conditions Stakes. 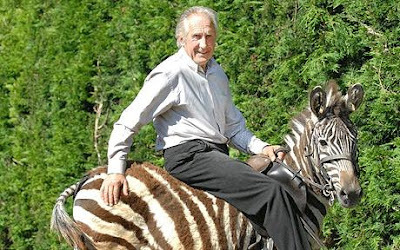 Turner has hit the headlines for many big winners over the years and even for riding a zebra to his local pub in Sherborne, Dorset. One race he targets is the 2019 Brocklesby Stakes race and reviewing this year's declarations for the 4:10 Doncaster (30th March) we see this year may be seventh time lucky. The first two-year-old contest of the new Flat turf season sees him enter an April foal called Hell Of A Joker, sired by Hellvelyn out of a twice winning mare called Oceanico Dot Com who was in training with Alan Berry. Hell Of A Joker is likely to be heading to Doncaster and if his trainer has anything to do with it, will shine on the day. Turner admitted he has struggled to compete with the larger stables over the last few years. Last year, saw him field Arthur's Spirit (in the ownership of loyal patron E A Brook) priced 10/1. He raced prominently but finished down the field in tenth place. However, he won well at Kempton on his third start under an excellent ride by apprentice jockey Jason Watson receiving 7lb. The Lord was a very smart winner of the Brocklesby Stakes for Bill Turner in 2002 who went on to win the Lily Agnes at Chester. This durable horse ran 68 times, winning 8 times and achieving total prize money of over £100,000 and official rating of 105. The best performance success at Listed class. Time will tell whether Hell Of A Joker makes the line up on the day of the Brocklesby but you wouldn't bet against Turner fancying his chances to win this race for the seventh time.